Superdry men’s Rookie cargo pocket joggers. 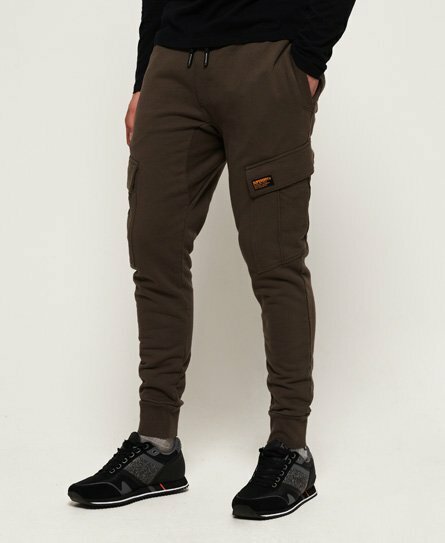 A must have item for your off-duty wardrobe, the Rookie cargo pocket joggers feature a drawstring waist and four front pockets, two with popper fastening. These military inspired joggers are completed with a Superdry logo badge on one of the pockets. Wear with a plain t-shirt for a relaxed but stylish look.